Ray White is the number one agency in Australia and our team of experienced Real Estate professionals delivers first class service and results for all of our clients. 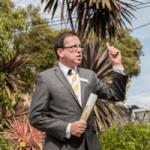 Ray White Mitcham has been a market leader since opening in 2008. All our fees are negotiable. We would need to see the property to be able to give you an accurate estimate, and we can also provide a rental appraisal. After years of strong growth, the market has changed, and agents need to do more than just places your ads and hand out your brochures. We are working twice as hard to ensure your property sells well. We may be able to sell your property directly to a buyer on our huge local and overseas buyer database. If so, you will pay zero advertising costs. However, this is up to you and a private sale can also work well. All property advertising is at cost price - the more ads you place, the higher the cost. Most vendors spend around $3500 but this is up to you. . Your auction is FREE - this is part of our service. Mark and his team have sold for my family on a number of occasions. Each time we have been impressed with the high level of service and great prices each time. Mark has been my agent now for almost 10 years. He has sold many properties in my area and I would trust him 100% to assist with both buying and selling. The Ray White Mitcham Property Management team were absolutely phenomenal in getting my apartment leased quickly and at an excellent price. Monique who looks after the day to day property management has been very helpful and is extremely knowledgeable. Both Rory and Monique are extremely professional and are a delight to deal with. The Ray White Property Management team come highly recommended.